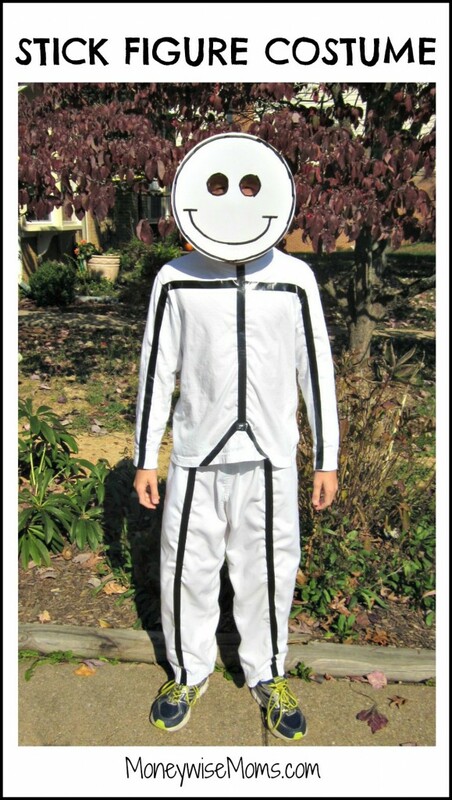 This Stick Figure Costume is so easy to make for Halloween! Last year, my son announced that he did not want to dress up for Halloween, that he was “too old.” He was 10, and I suppose he was a little influenced by friends with older siblings who said they were over it. So of course two days before Halloween he changed his mind and wanted a costume. Ahem. I told him the same thing I would have said October 1st, it has to be easy and not cost much. That’s how we do Halloween costumes around here. He ended up making this Stick Figure Costume. For the head, cut a large circle out of the posterboard, then draw the face and cut out eye holes (be safe if your child will be walking around at night!). We taped the face to an old pair of sunglasses with the lenses popped out. This way, he could easily take the face on & off, and we didn’t have to do an elastic around his head. Add the black tape to the shirt and pants. It couldn’t be easier! And it certainly fit our budget. He got a huge response by both kids and adults as we trick-or-treated in our neighborhood. He was glad he decided to join in the fun. 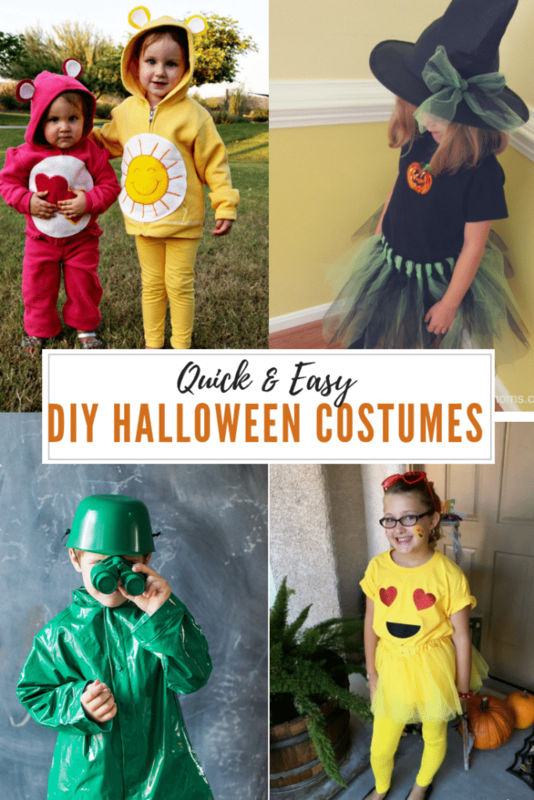 Looking for more fun, frugal Halloween costumes? Take a look at my Happy Halloween Pinterest board. Stick Figure Costume is linked up to Show & Tell at Snap!, Fluster’s Creative Muster Party at Fluster Buster, Inspiration Monday at i should be mopping the floor, and Too Cute Tuesday at Funky Polkadot Giraffe. this is such a great idea! too funny. HAHA, I love this costume finally somebody got an idea that is out of the box and easy on the pocketbook. What a fun outfit for Halloween. I saw a woman who did this for her toddler last year, but also added these glow stick tube things (somehow). In the dark it was so cool! Toddlers walk like they’re tiny drunk people, so we just saw this fluorescent stick figure stumbling around. Hilarious! Ha ha. This costume makes me giggle – love it. Thanks for linking up to Gingerly Made!